Danish/American rock 'n' rollers VOLBEAT will return to the road this spring, announcing a string of dates around their first-ever Coachella performances April 15 and April 22 with support from BLACK STONE CHERRY and MONSTER TRUCK. Celebrating its return to the U.S., VOLBEAT hits U.S. soil for the first time in 2016 with an intimate "Evening With Volbeat" show at the Roxy in West Hollywood, California on April 13. The legendary venue will serve as the perfect setting to get up close and personal with the band's signature hybrid of rock prowess, metal power, blues soul, and rockabilly swing. On the upcoming tour and Coachella performance, the band comments: "We're thrilled to be heading back out on the road in the United States this April, and to have the chance to get up close and personal with you at the legendary Roxy Theatre in Los Angeles for our first show of 2016. We're also beyond psyched to be making our first appearances at the amazing Coachella festival and to play some shows with our friends BLACK STONE CHERRY and MONSTER TRUCK. This is just the beginning for VOLBEAT in 2016. More news coming soon!" A special pre-sale goes live tomorrow Wednesday, February 17h at 10 a.m. PST via the band's official fan club Rebels + Angels at www.volbeat.dk. General on-sale is this Friday, February 19 at 10 a.m. PST. VOLBEAT is putting the finishing touches on its sixth full-length album, due later in the year. 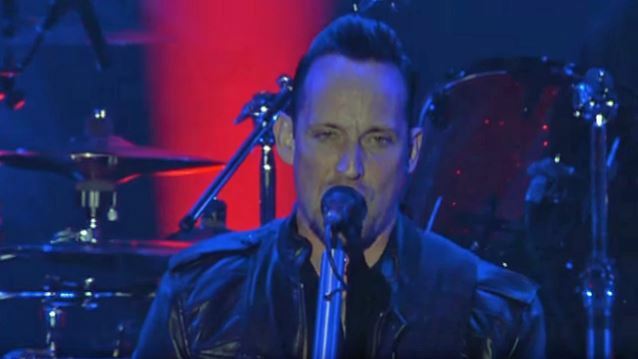 VOLBEAT last November parted ways with bassist Anders Kjølholm. A replacement bassist has not yet been announced. VOLBEAT performed a brand new song, "The Devil's Bleeding Crown", in full live for the first time in August 2015 in front of over 37,000 people at Tusindarsskoven in Odense, Denmark. VOLBEAT last year signed a North American management agreement with Q Prime, the New York-based music management firm founded and run by Cliff Burnstein and Peter Mensch.